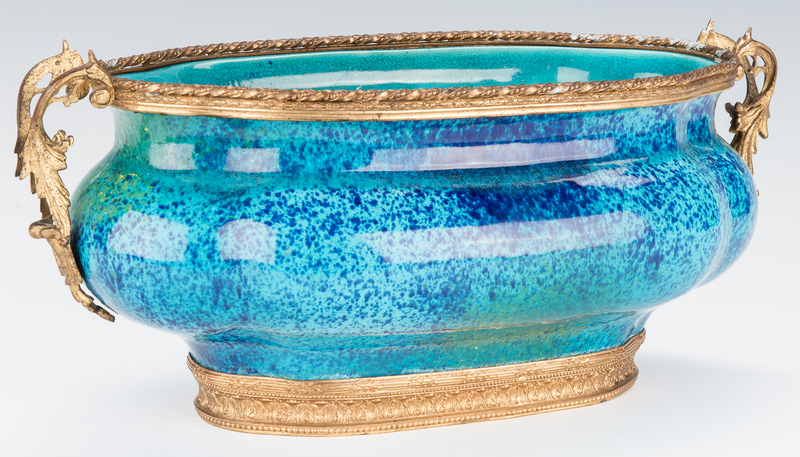 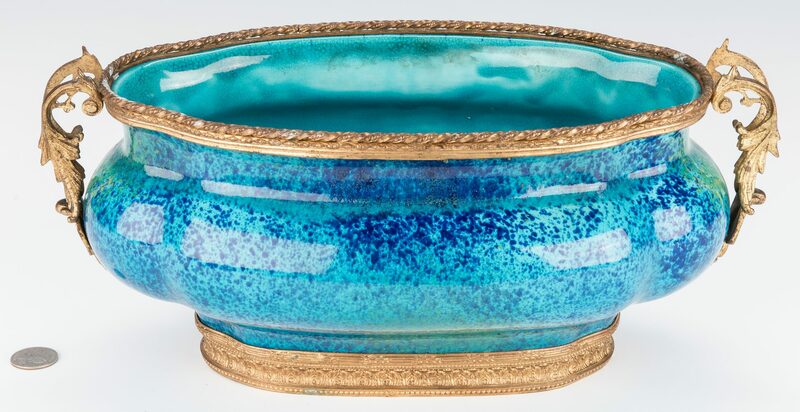 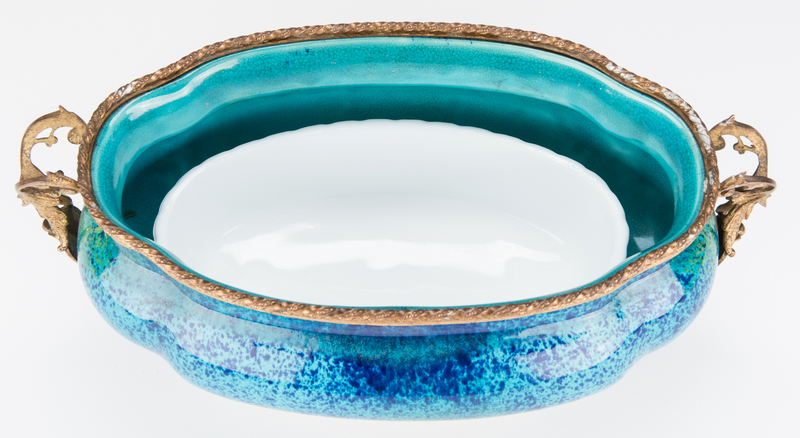 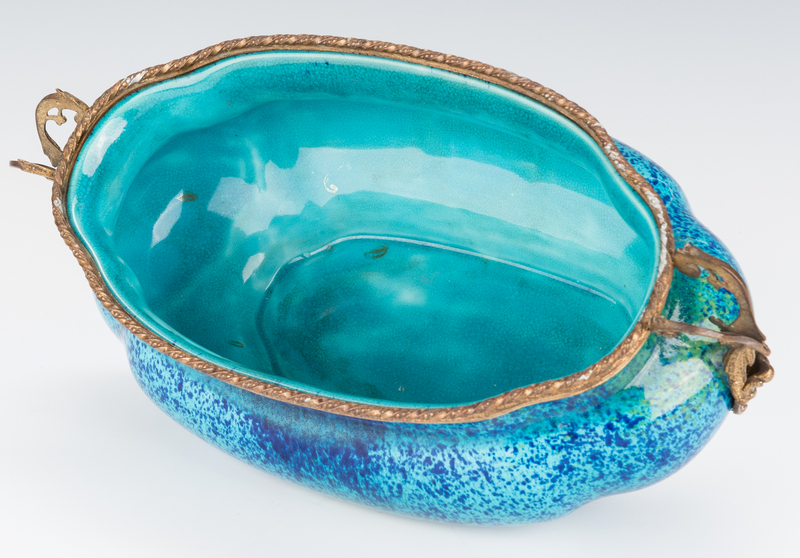 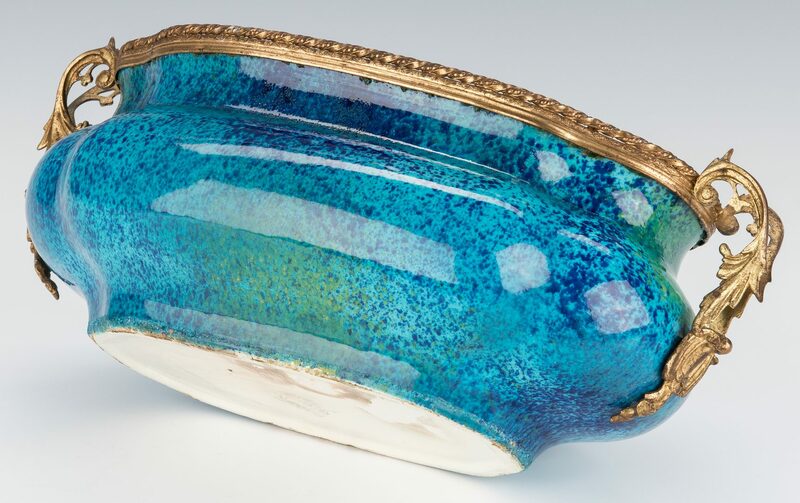 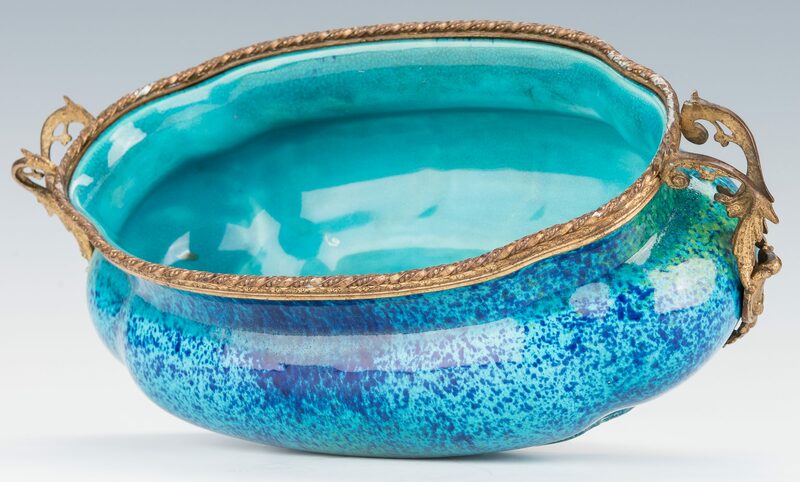 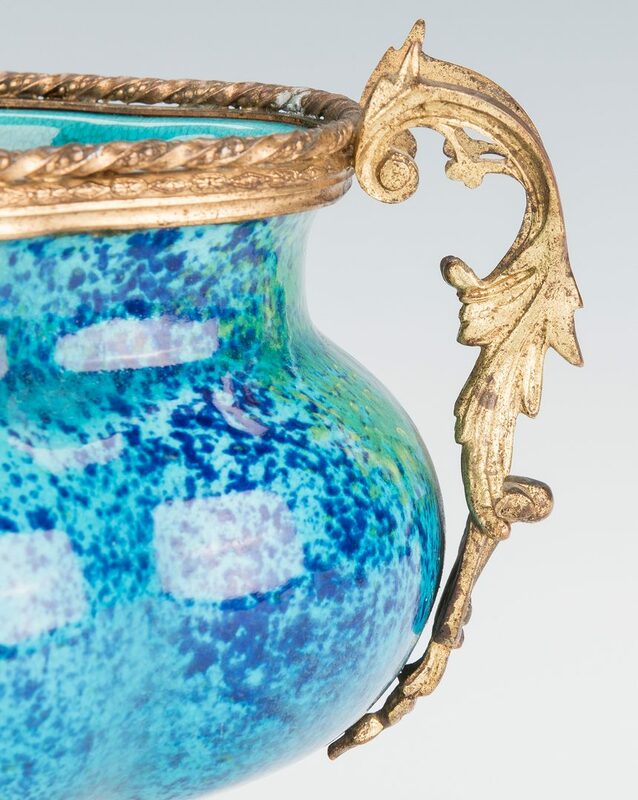 Boch Freres, Belgium, porcelain jardiniere, oval bombe form with turquoise and blue flambe crackle glaze and gilt metal upper and lower mounts and openwork scroll handles. 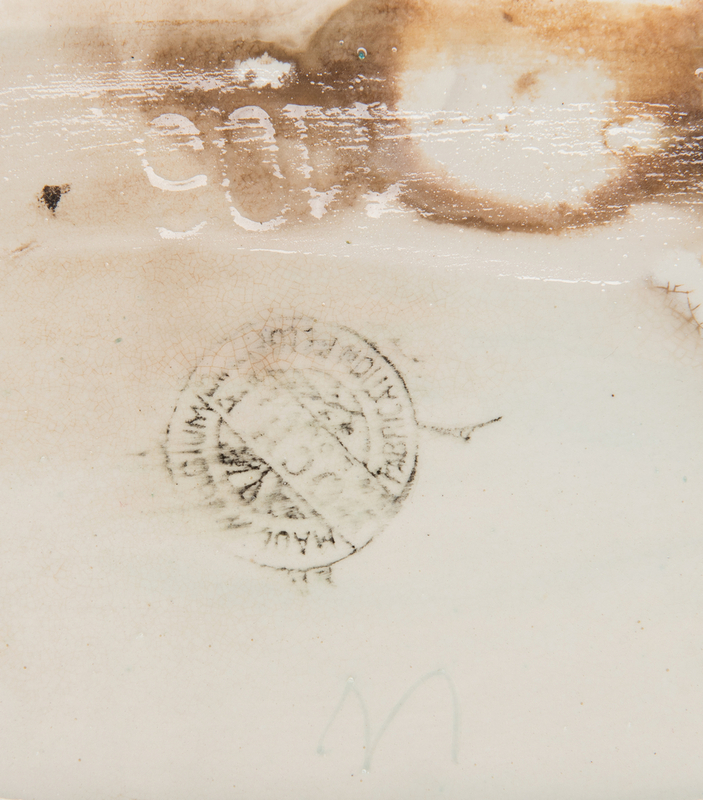 Comes with an associated later milk glass liner. 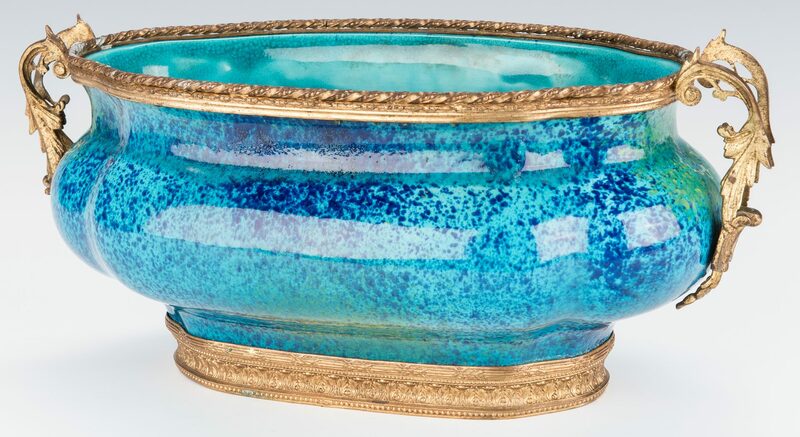 5 1/2" H x 14 1/2" W x 8" D. First half 20th century. Provenance: Private Knoxville, TN collection. 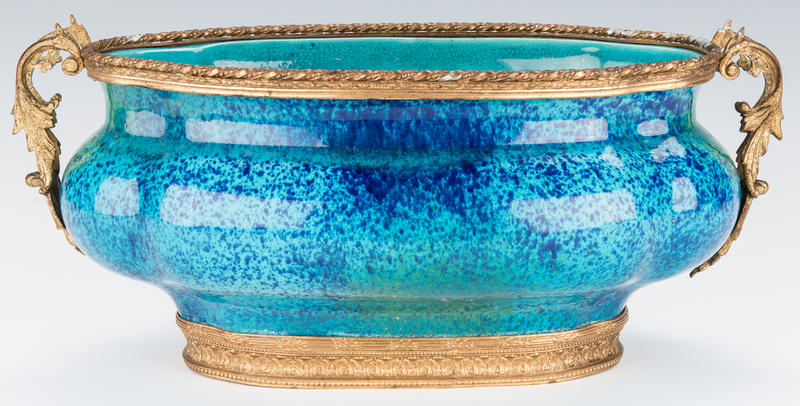 CONDITION: Wear/oxidation to gilding, especially at upper edge, some along the base. 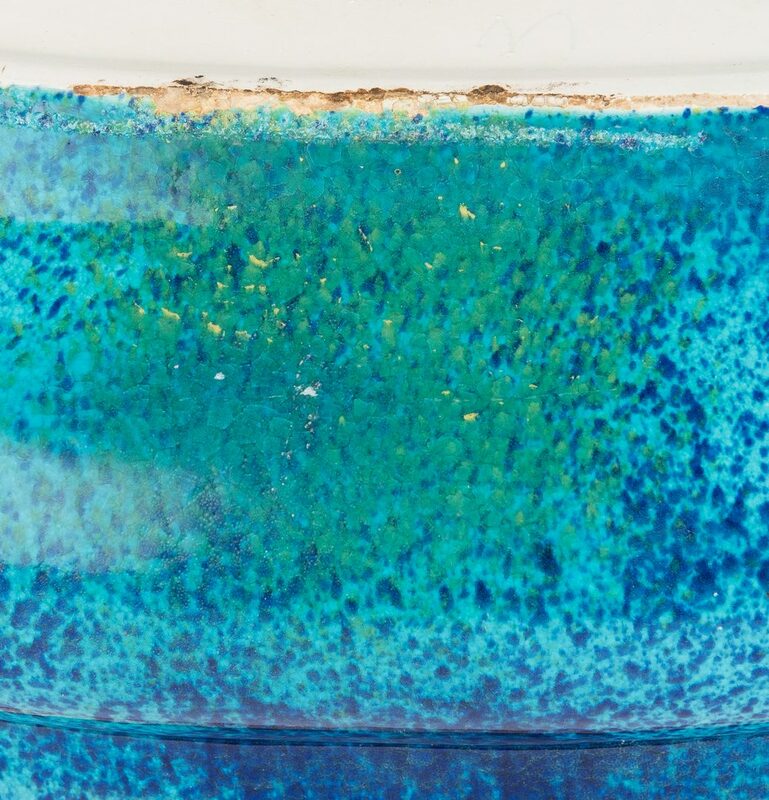 Staining to underside of base.